Along with champagne, truffles, and foie gras, caviar is a delicacy that isn't just a food item, but also a luxury good, viewed as a sign of conspicuous consumption. Should you find yourself in exceedingly good company sharing some fine caviar and bubbly, a basic knowledge about the delicacy could be useful should the conversation turn in that direction. So, what is caviar? Quite simply, it is the salted eggs harvested from a large, white-fleshed fish known as the sturgeon. The eggs of the female fish are harvested from the ovary, passed through a fine-meshed strainer, and drained of liquid, fat, and membranes (perhaps, it is best to omit this part from any polite conversation, at least while enjoying caviar). They are then salted lightly and cured in containers; the curing process causes the eggs to firm up. 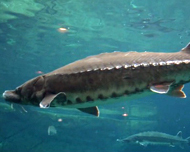 Sturgeon can be found in both fresh and salt water, depending on the species, and inhabit the Northern Hemisphere. They can become quite large — some are more than 13 feet long and weigh more than a ton. Their flesh is also sold, usually canned or frozen, but the majority of the sturgeon's value derives from the eggs harvested from the female fish. When shopping for caviar, you may encounter some unfamiliar terms. For instance, one of the ways caviar is rated for quality is according to its salt content. The highest-quality caviar will be classified "malassol" and must have less than 5 percent salt content. For those who are easier to please, the next step down on the scale is "payusnaya" or pressed caviar, which has 10 percent salt content. The best way to serve caviar is the simplest way: Just have on hand some toast, butter, and lemon juice, and avoid serving it straight out of the refrigerator — rather, let it sit for about 15 minutes to take off the chill. 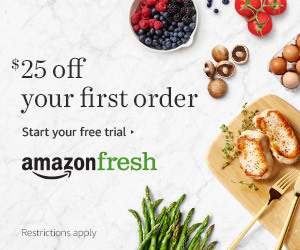 But, most importantly, do not serve using silver or stainless steel bowls or utensils since they alter the taste of the caviar. Instead, use wooden, glass, or (heaven forbid) plastic implements. But when it comes to true extravagance, it's pretty hard to beat the way it's done in Russia, where caviar is served on blinis, together with sour cream and vodka. Now that's a Sunday brunch worth remembering. Click here to see Caviar Russe's Risotto with Sea Urchin, Dill, and Smoked Caviar Recipe.